The Scottsdale Country Club at DC Ranch is located in the center of Scottsdale, near the 101 and Kierland. This private country club is a reflection of the history of cattle ranching, designed after western resorts in the early 1900s in the Ranch-Hacienda style. It has an elegant yet naturalistic design with some 35,000 square feet. This premier country club in Scottsdale offers plenty of amenities. An ample dining room is perfect for special dinners with family and friends. There are locker rooms for those who take advantage of the fitness facilities, as well as the pool, courtyards and tennis courts. There are six hard courts and five lighted tennis courts, with equipment services available. 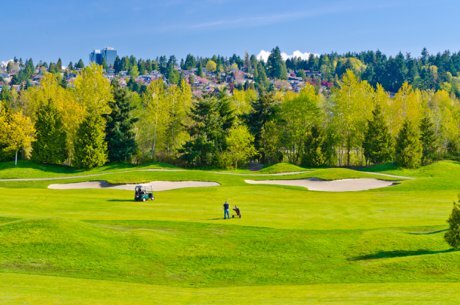 Golfers will appreciate the golf course as well. The course was designed by Tom Lehman and John Fought. It is an 18-hole, par-71 course with amazing views of the surrounding beauty of the desert as well as having great views of the McDowell Mountains. When looking below the course you can also see the city. The course was developed for all levels of skills. Golf lessons are available. The real estate in the DC Ranch area where Scottsdale Country Club is located includes single-family homes, custom estates, patio homes, townhomes, and apartments. You will find a variety of sizes and styles, as well as design plans from top area builders. Real estate in DC Ranch is not required for membership to the Country Club. 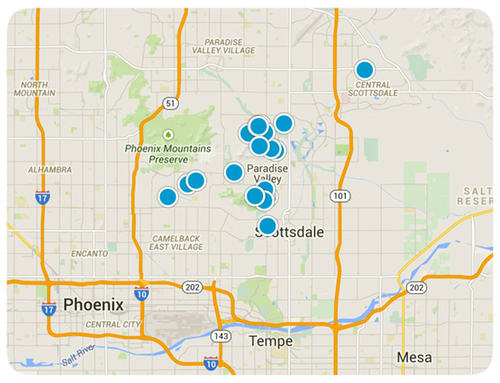 There are many villages within minutes of the Scottsdale Country Club with homes for sale. These include McDowell Mountain Ranch, Silverleaf, Greyhawk, Pinnacle Peak, Troon and Desert Mountain. With the amazing amenities of the country club, as well as those found in any of the DC Ranch communities, this premier area has many great elements to tap into. The close proximity to Phoenix is also a major plus for business, shopping, and dining experiences. It is without a doubt a must-consider area for home buyers searching in the Scottsdale area. 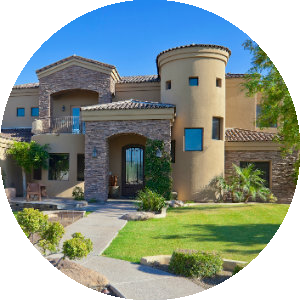 If you would like more information on homes for sale in the Scottsdale Country Club, Arizona area, please contact us today and we will be happy to assist you. You'll find the very latest homes for sale in the Scottsdale Country Club featured below. This information is updated throughout the day so be sure to check back often! 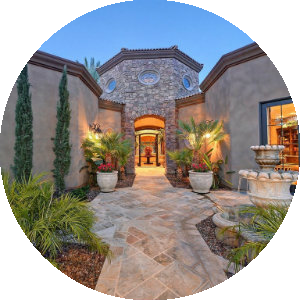 Search the complete inventory of Scottsdale Country Club homes for sale by price, community amenities, square footage, and more using our detailed ADVANCED SEARCH option. See something that interests you? Want more information? 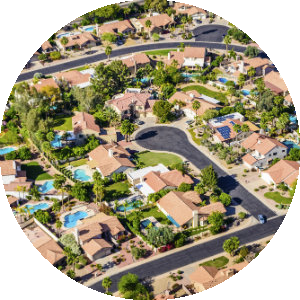 Contact Us anytime to schedule a private showing for any property you find on this site or for more information on the community of Scottsdale Country Club and all Scottsdale real estate.